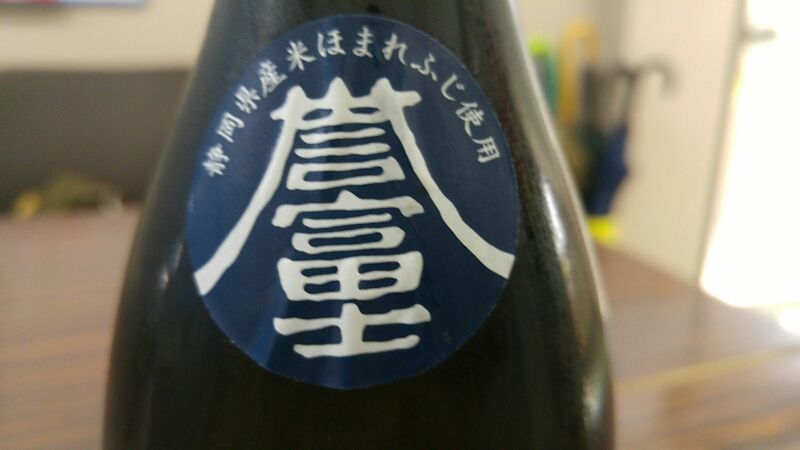 When it comes to a home party one always looks for a sake which is not only tasty and easy to pair at all temperatures but also reasonably-priced. 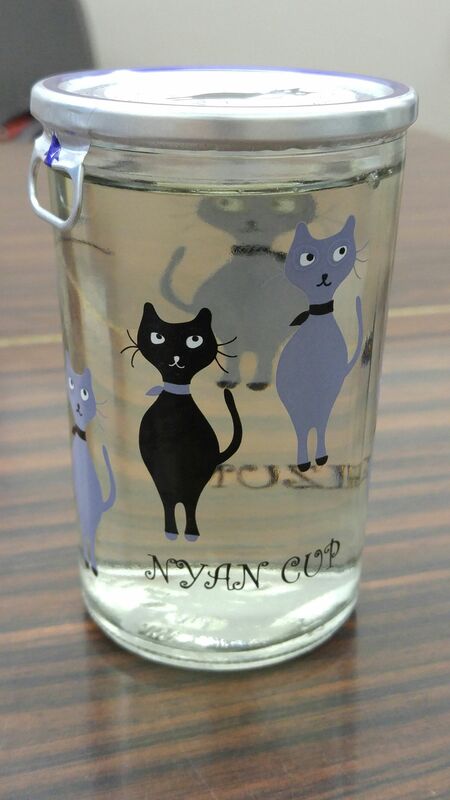 The other day I did participate to a big home party with old mates and I had the perfect present to bring with me! 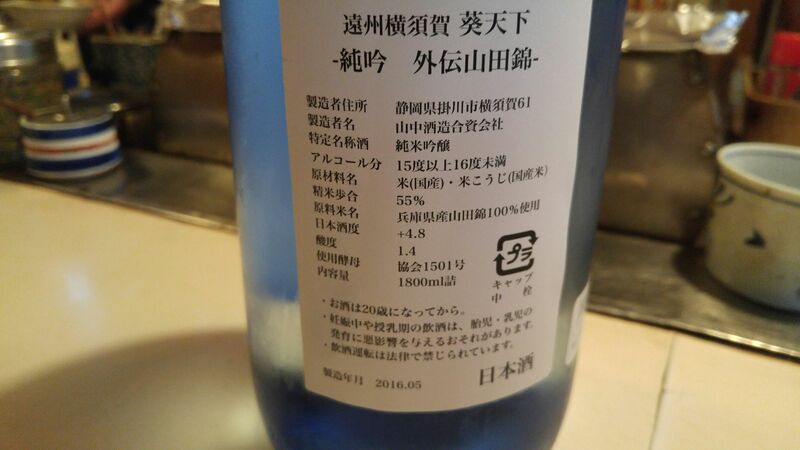 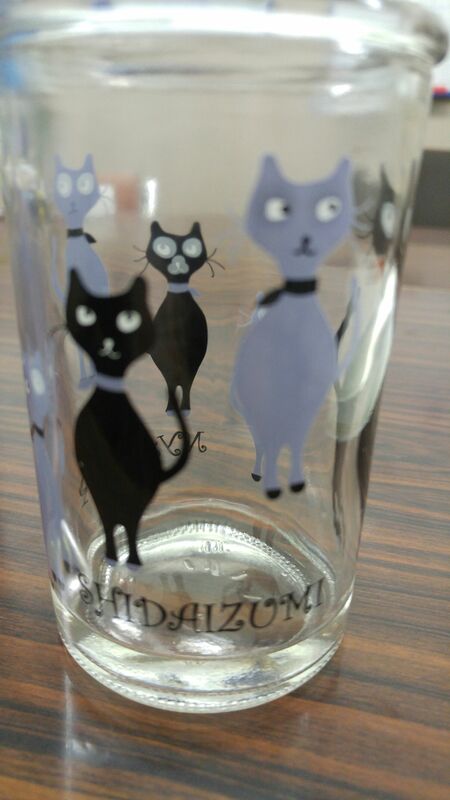 When you read the specs you will realize that some breweries in Shizuoka Prefecture are spoiling their customers! 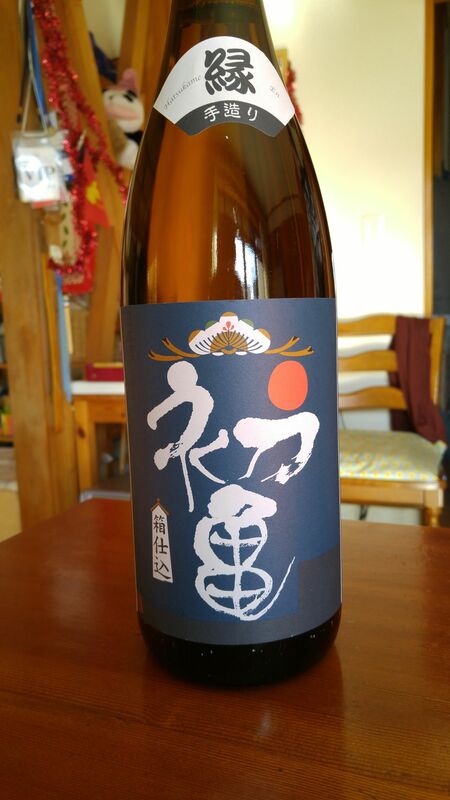 Lingers only for a short while before departing on a still drier note with oranges, custard and coffee beans. 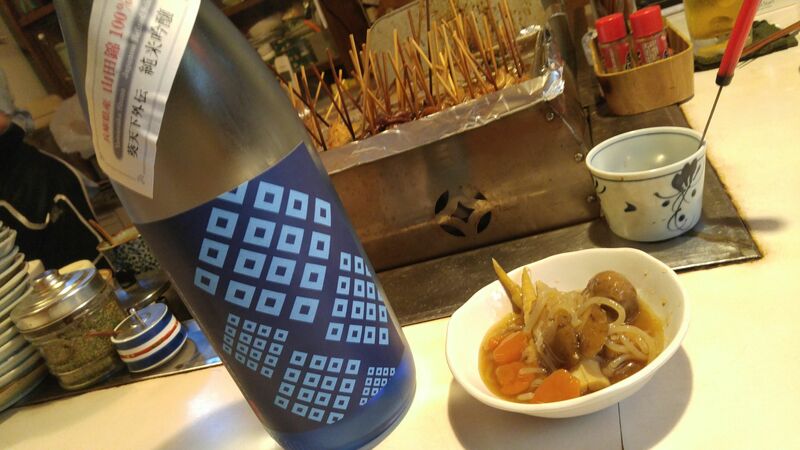 Becomes milder and lighter with food before finishing on a drier note. 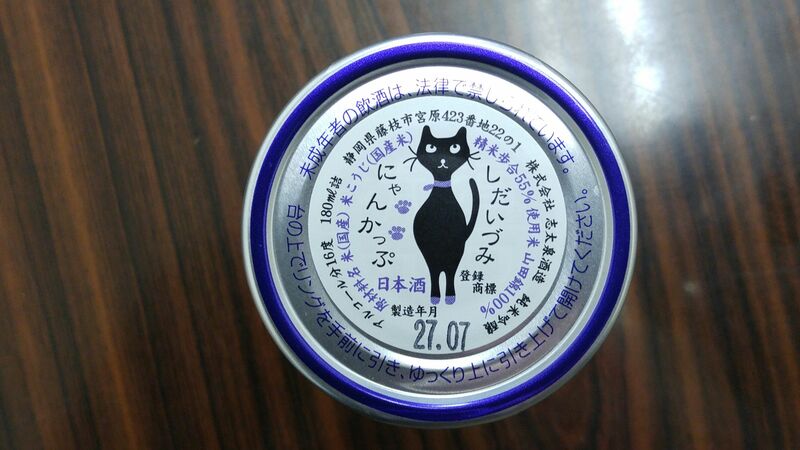 Oranges and custard in particular will come back once again away from food. 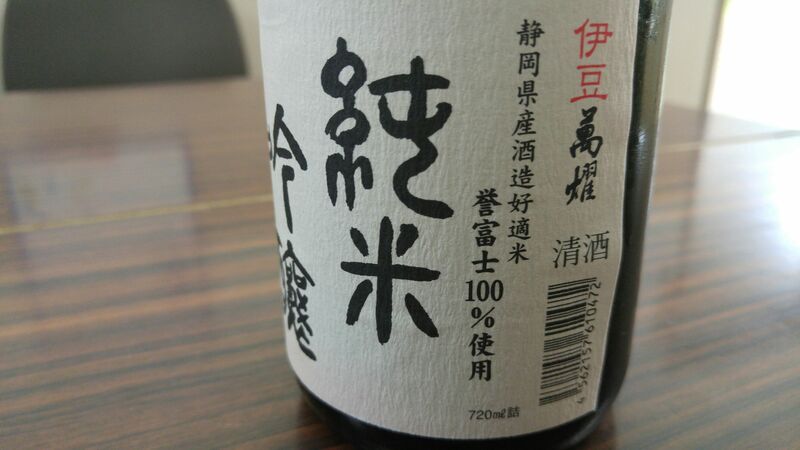 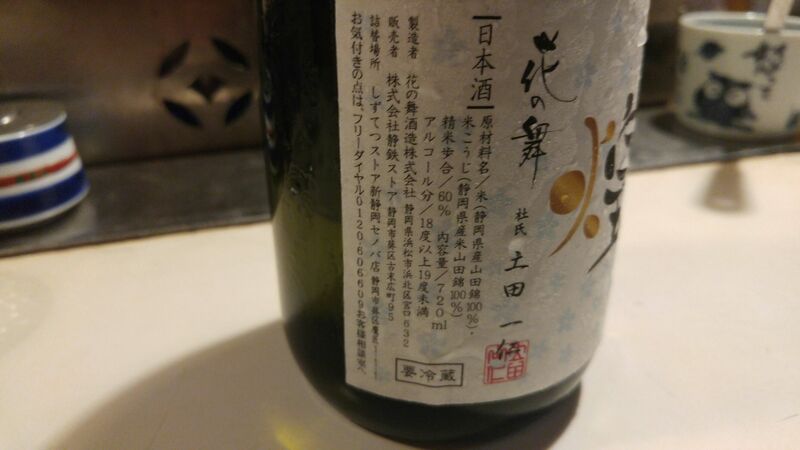 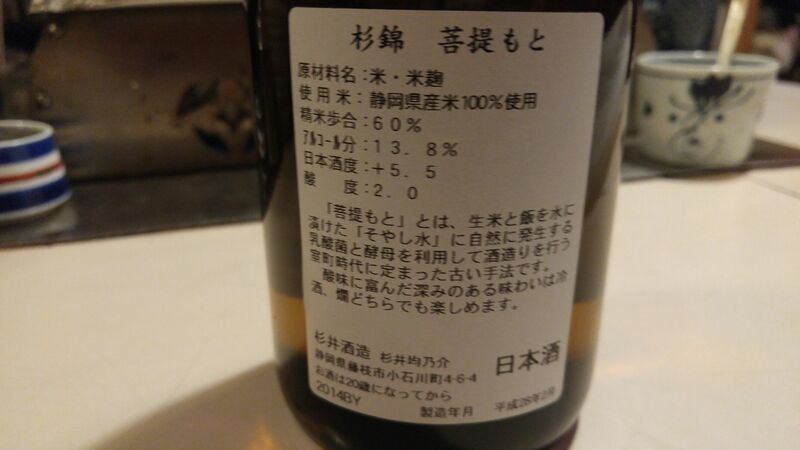 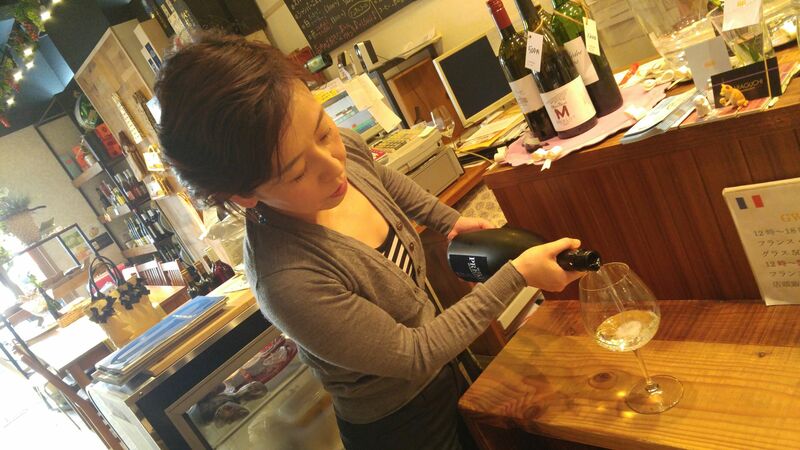 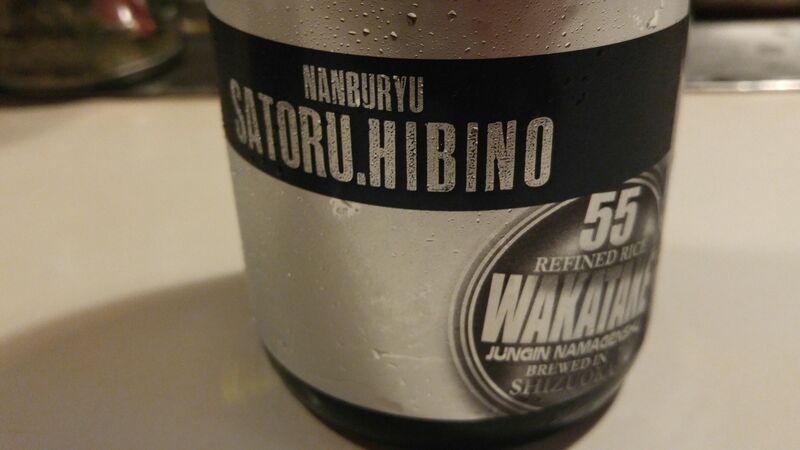 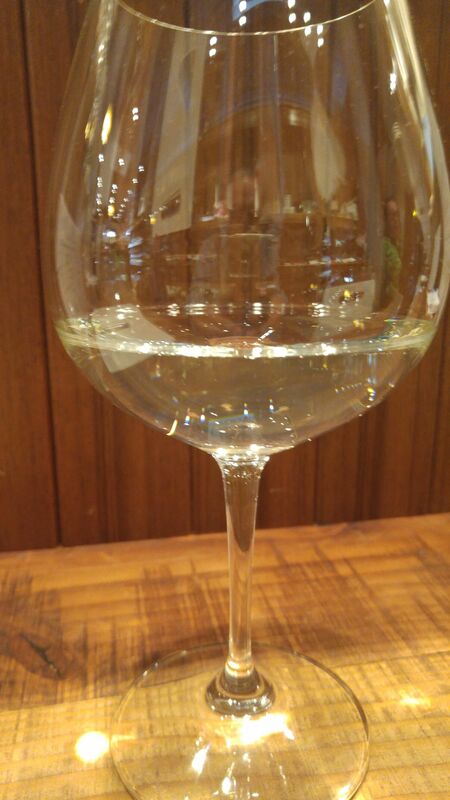 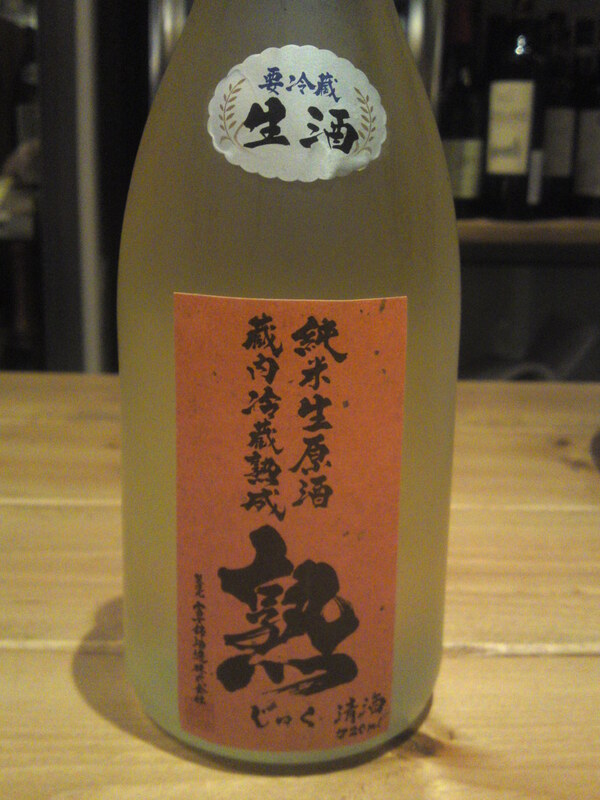 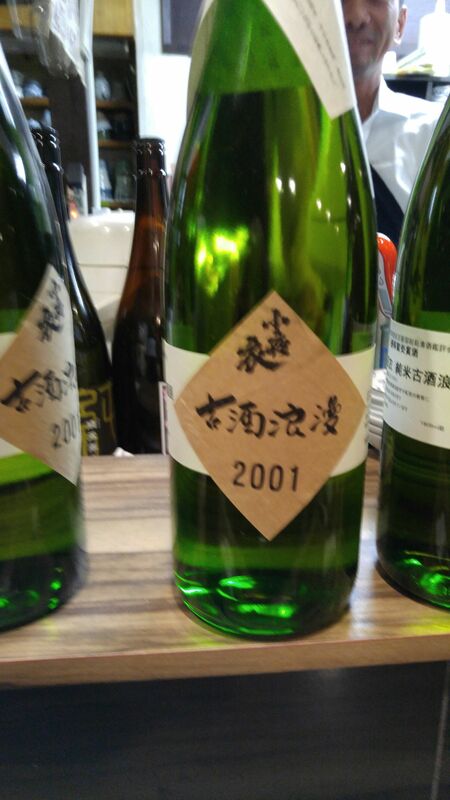 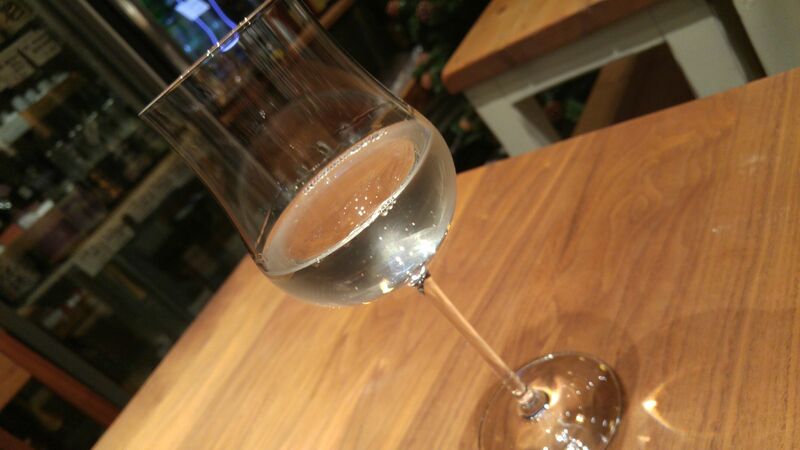 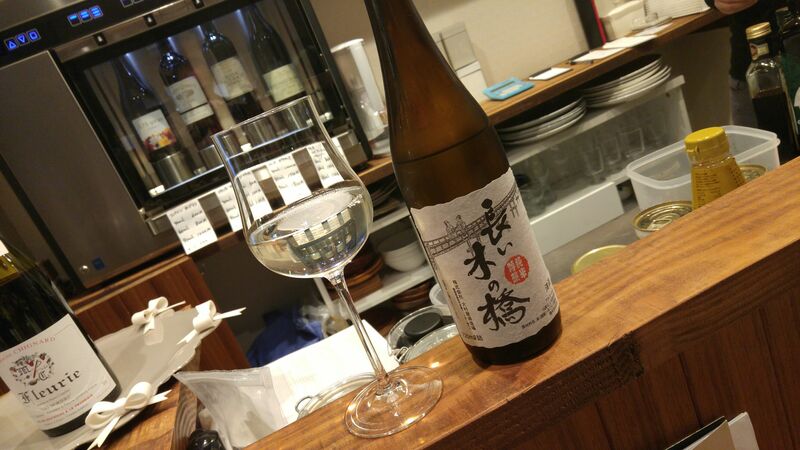 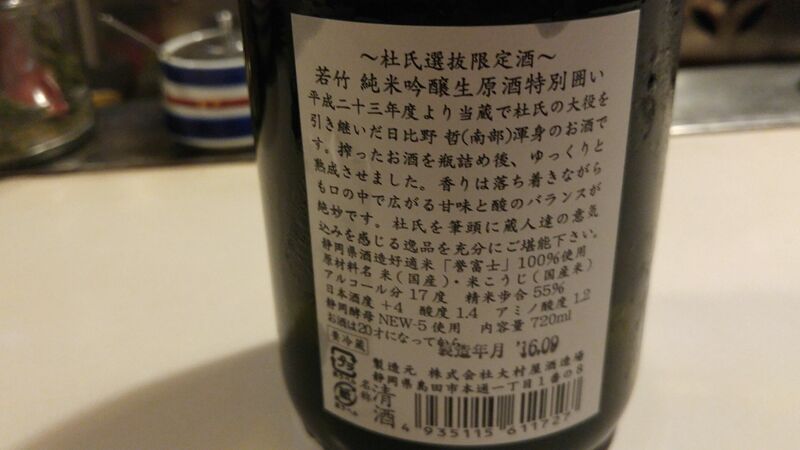 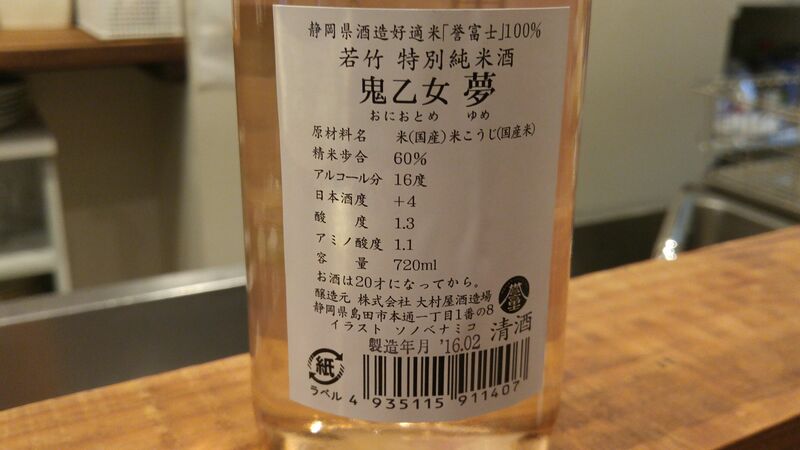 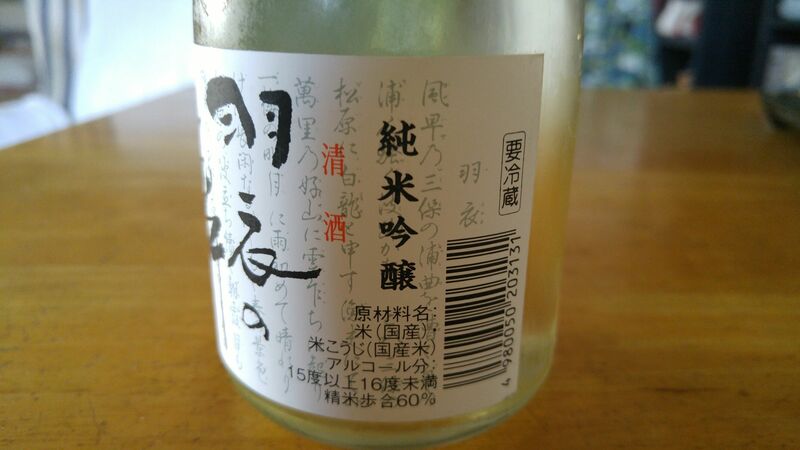 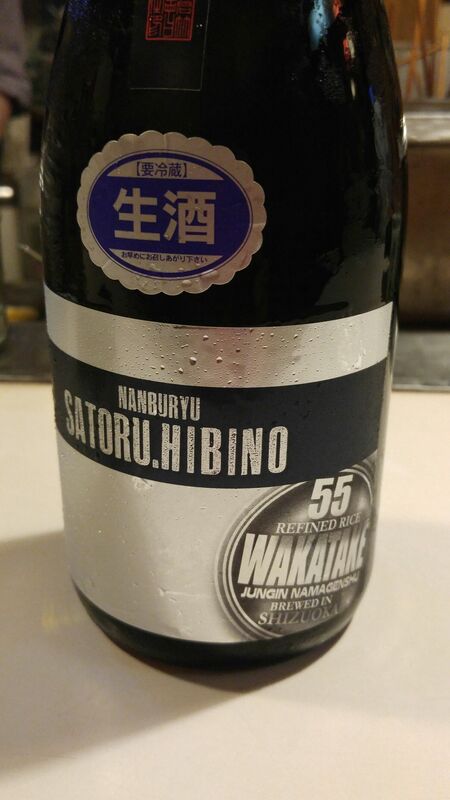 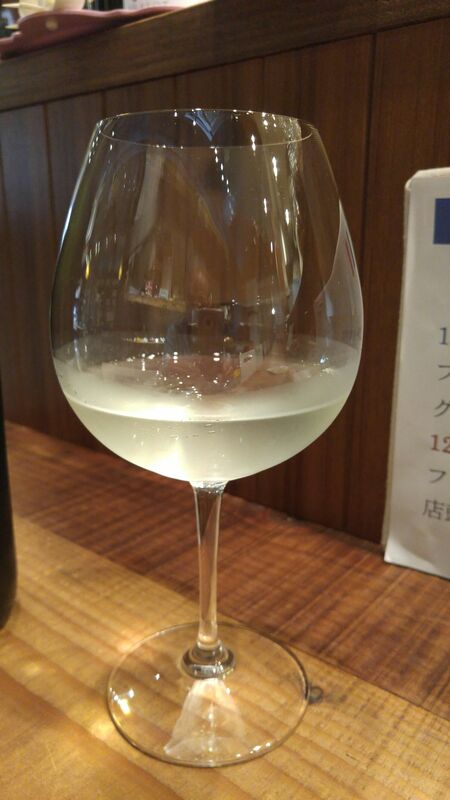 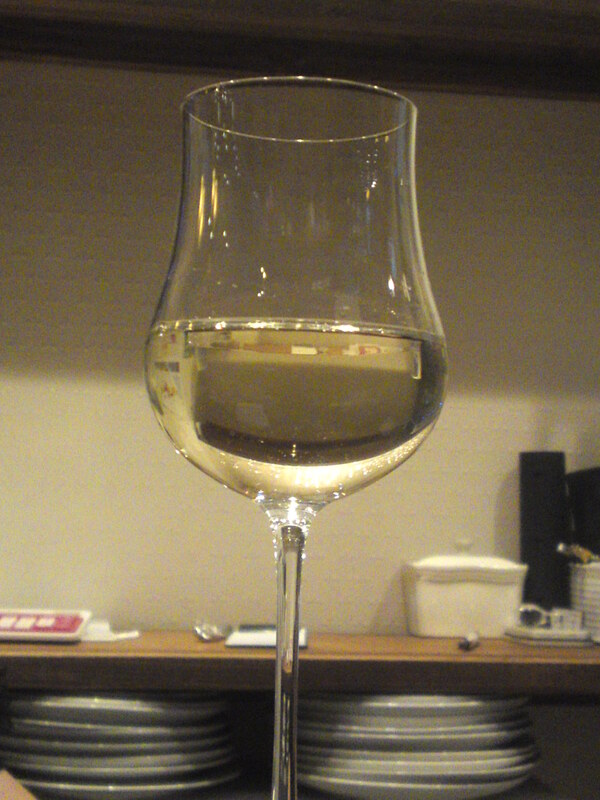 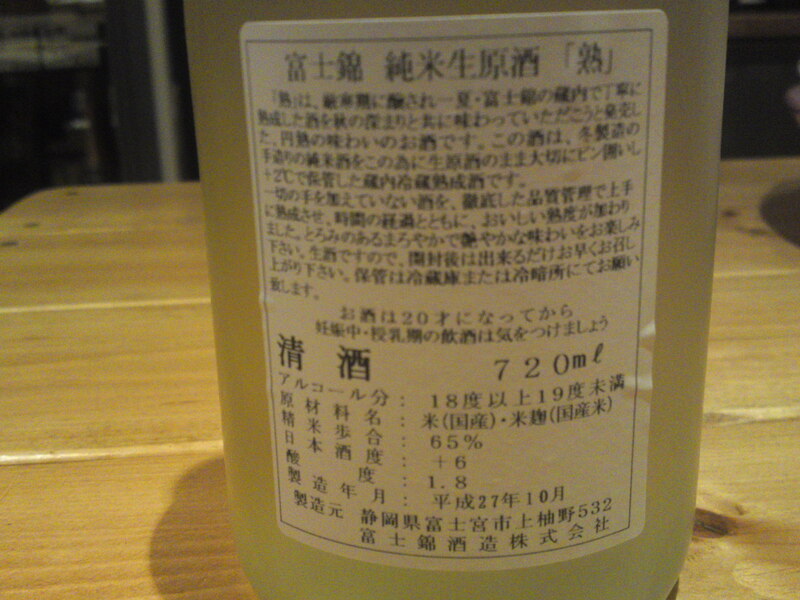 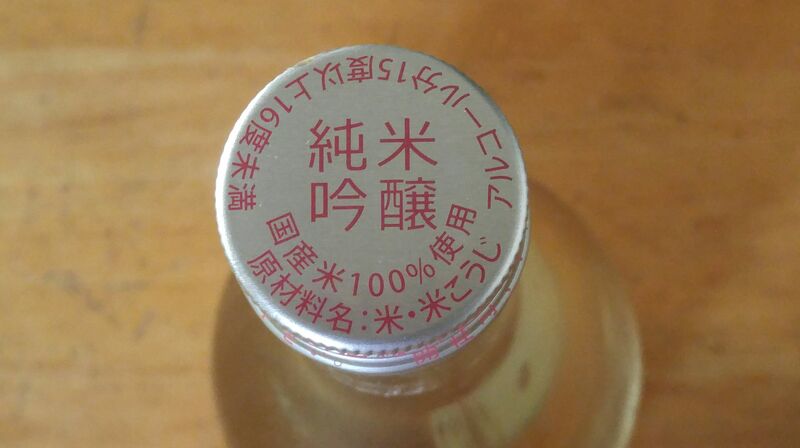 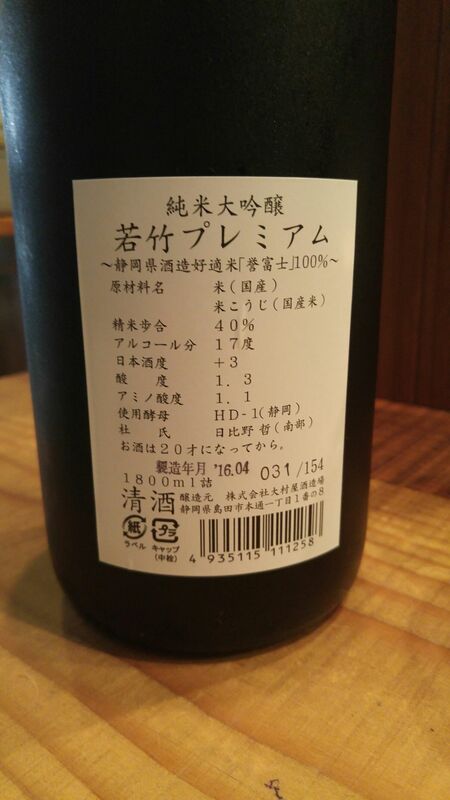 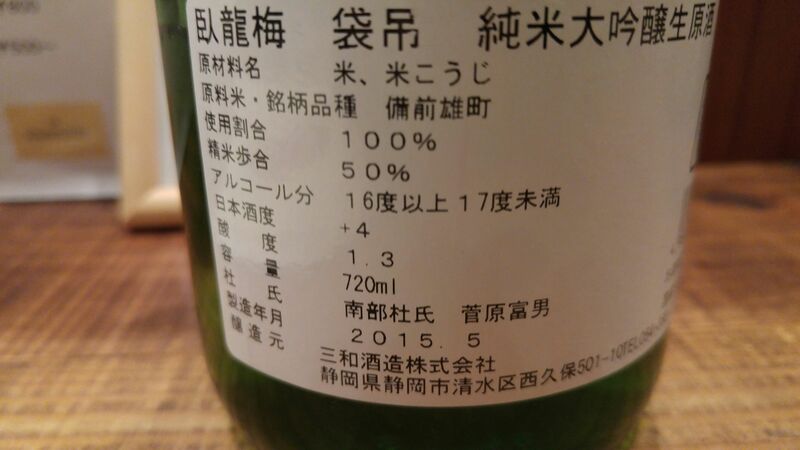 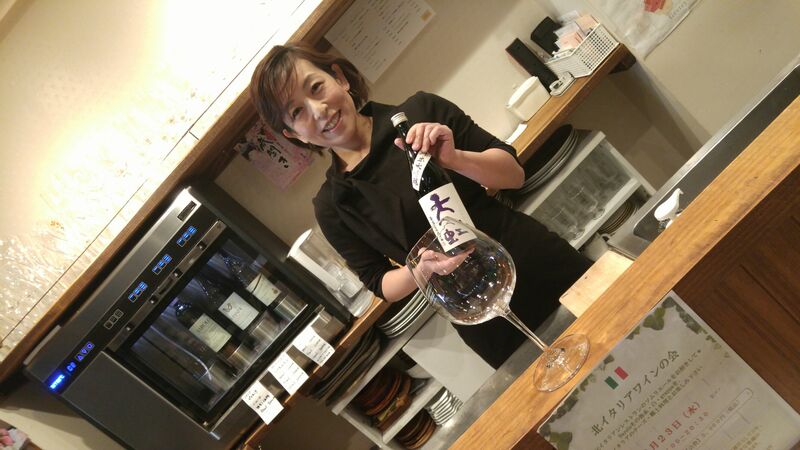 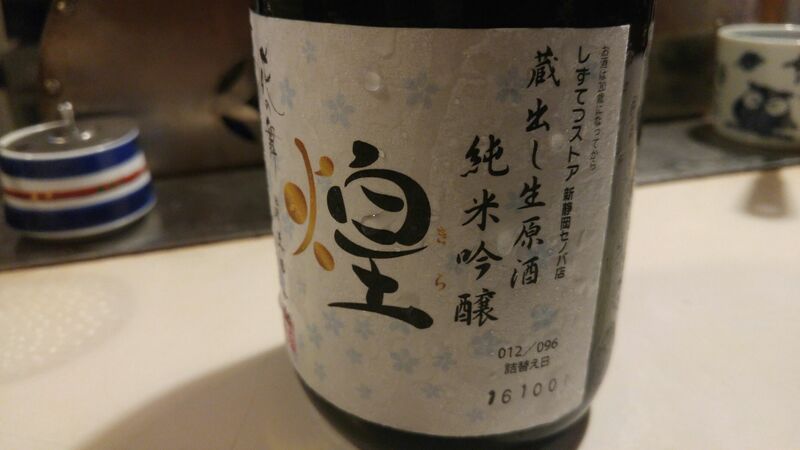 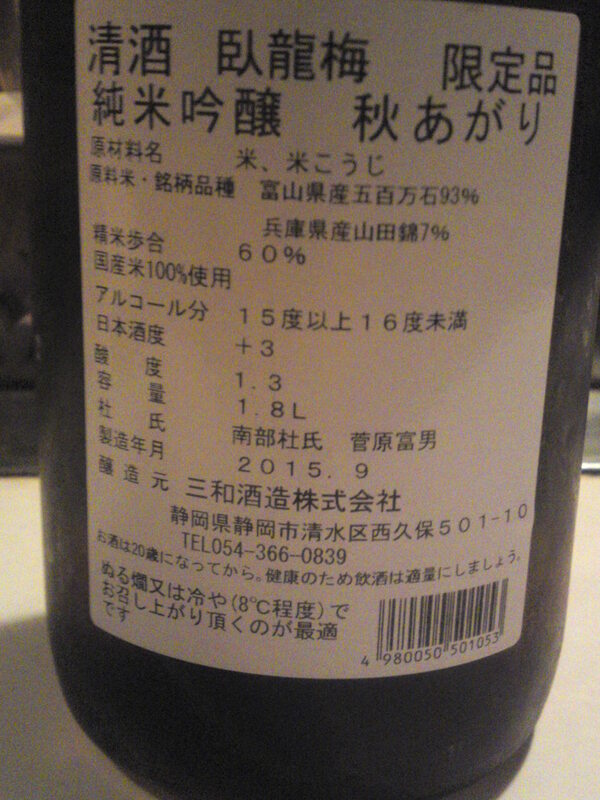 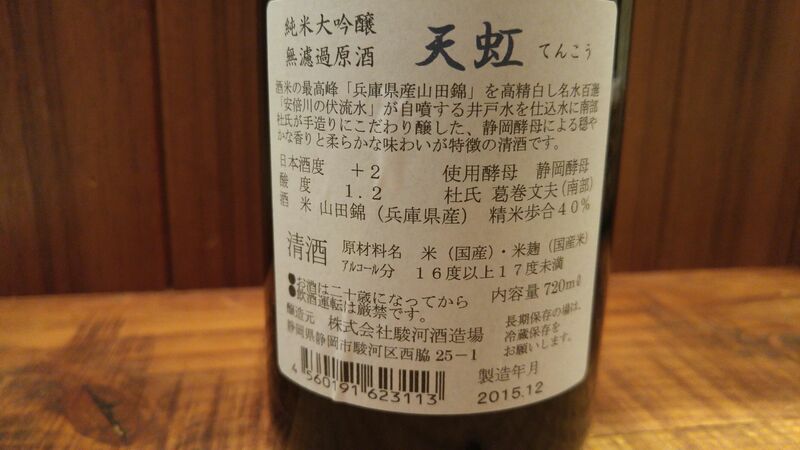 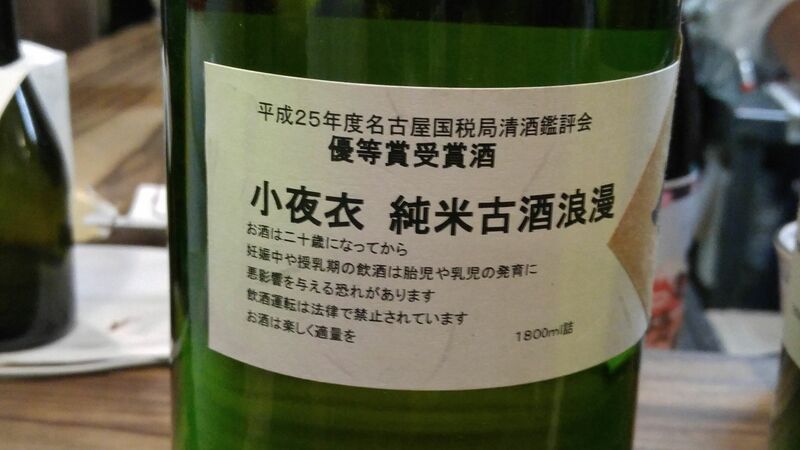 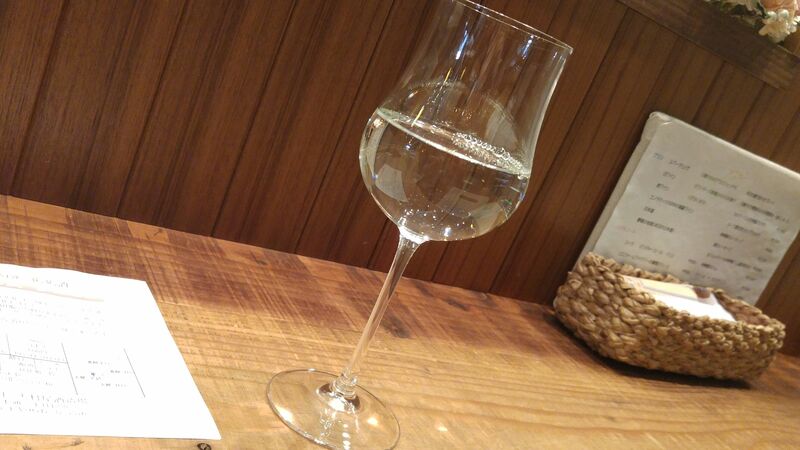 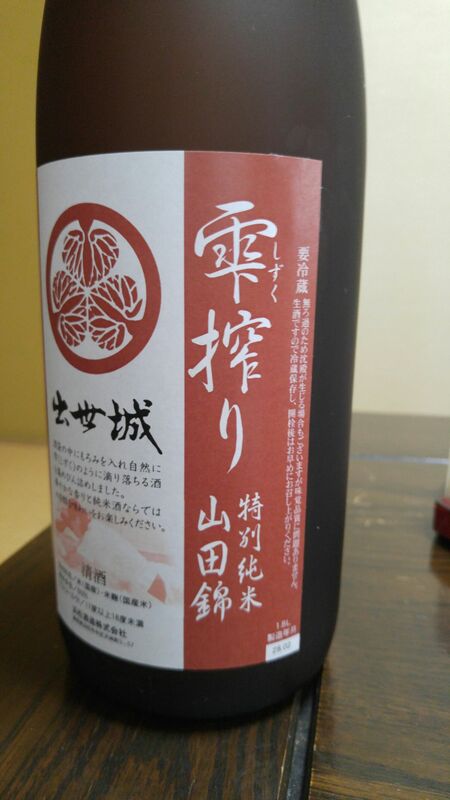 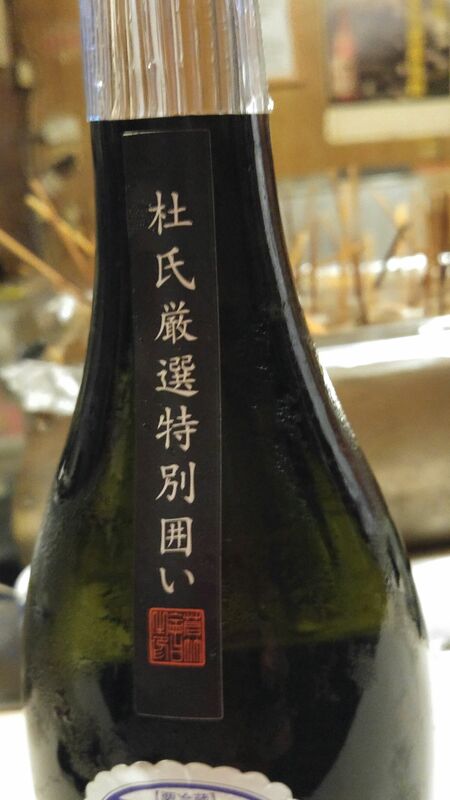 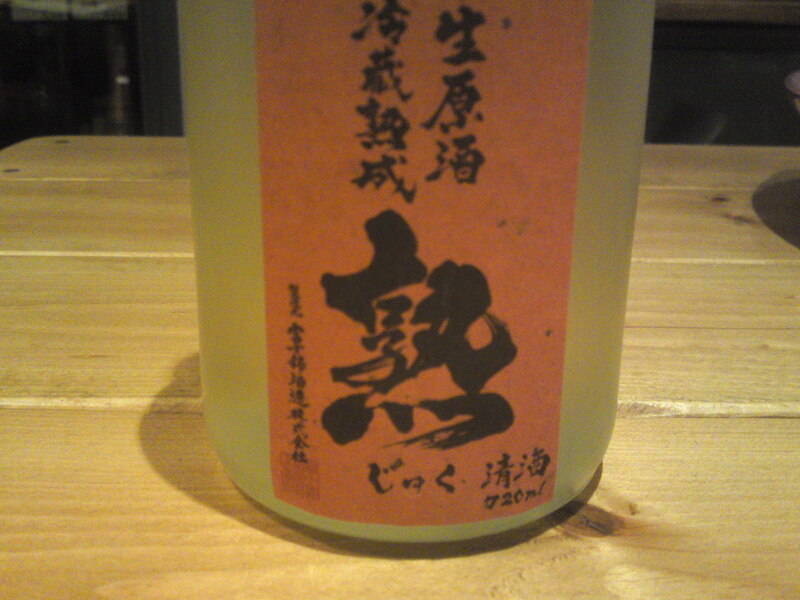 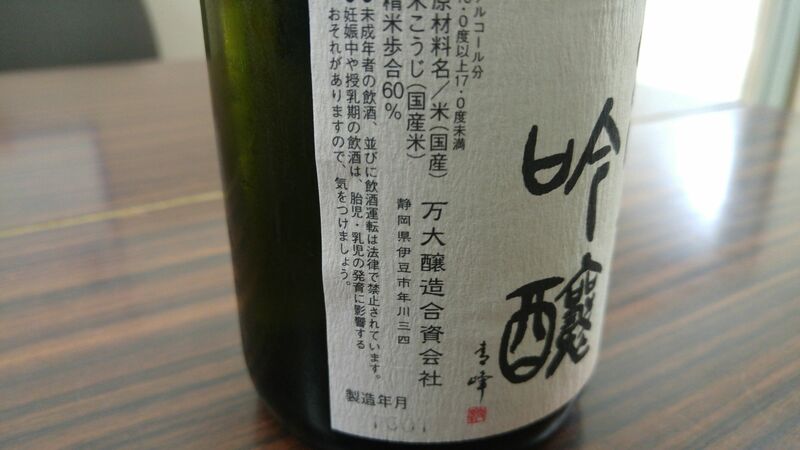 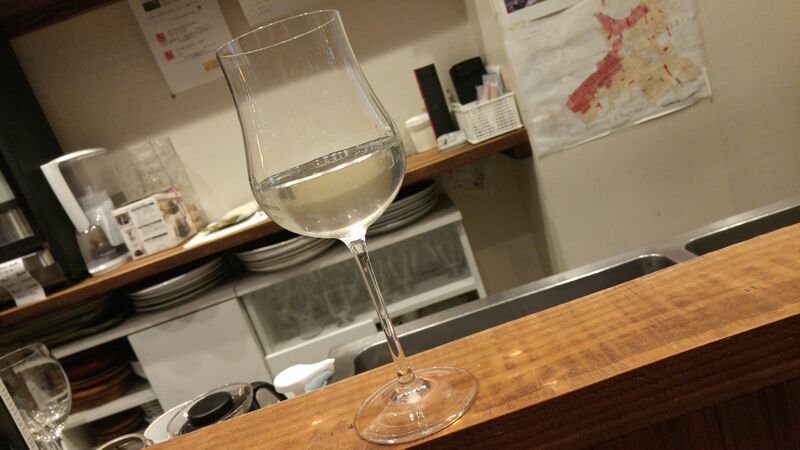 At lukewarm temperature/”nurukan”, tends to become lighter and less complex, but still very pleasant on the palate. 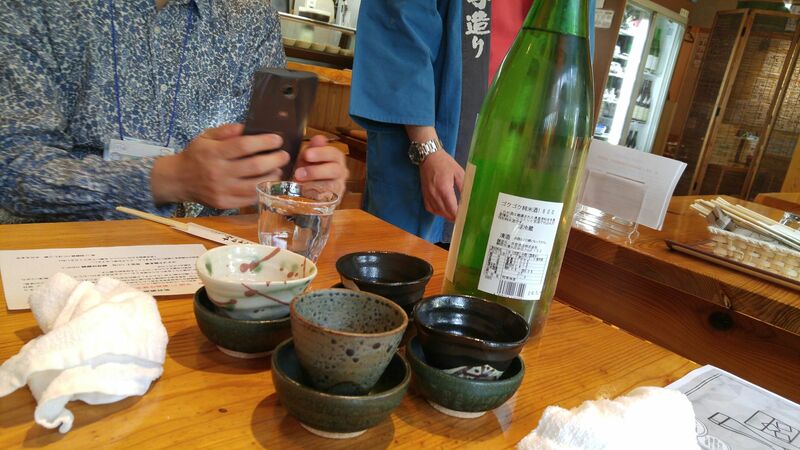 Overall: I conducted that tasting in a light-hearted manner with my friends before he alcohol took the best of them. 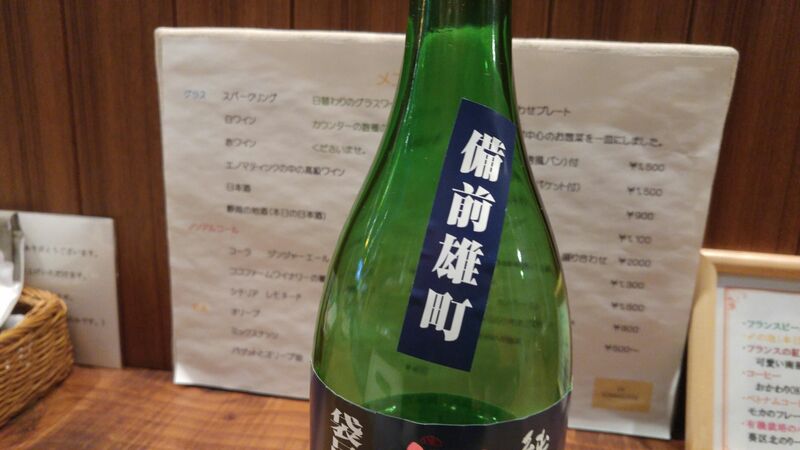 We all agreed it was simply extravagant considering the ridiculously cheap price! 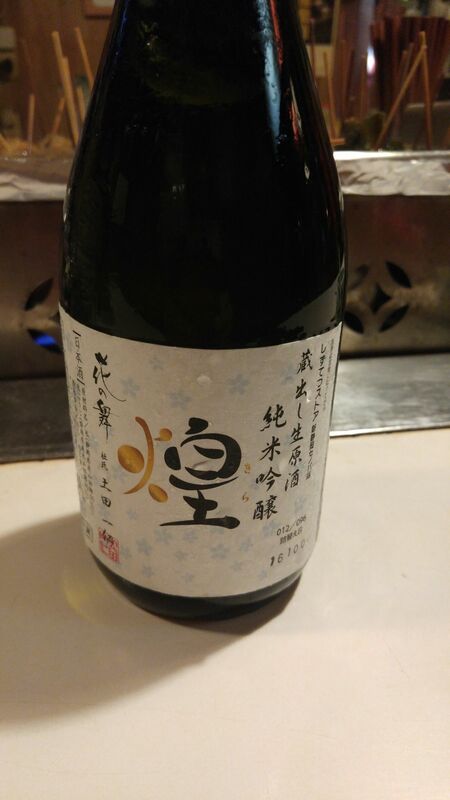 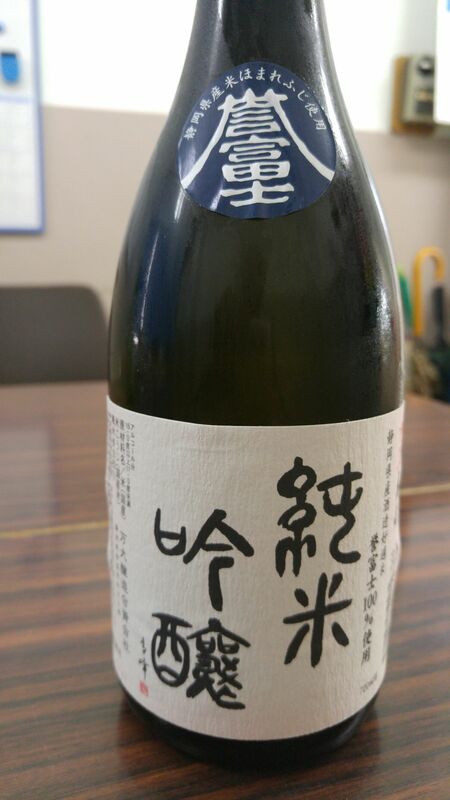 This is the kind of sake you can bring to any party any time of the year when you can savor it on its own or with any food, at room temperature or warmed up! 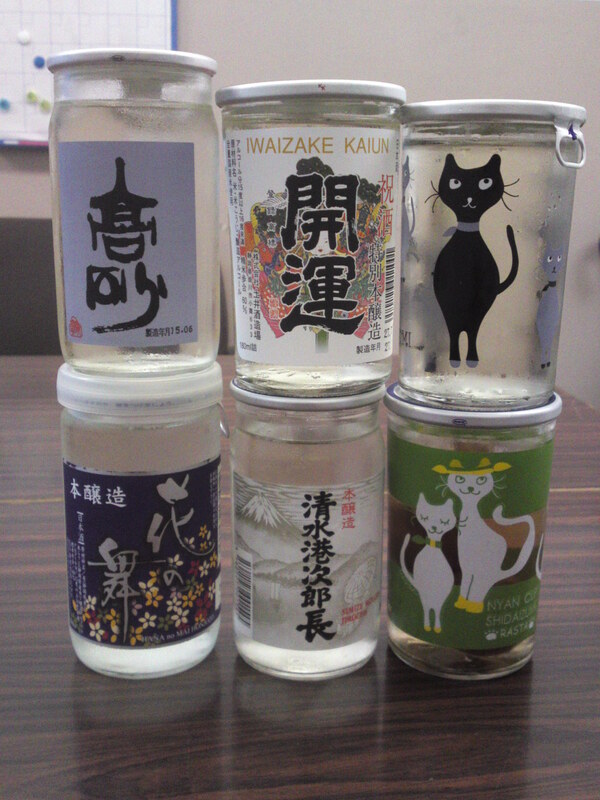 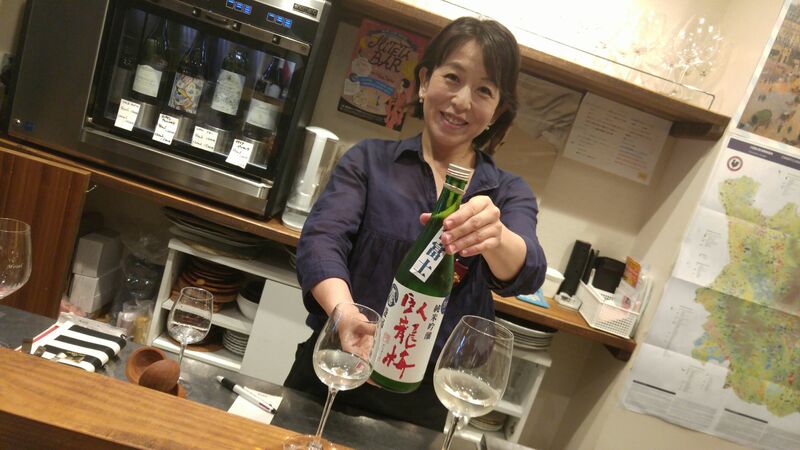 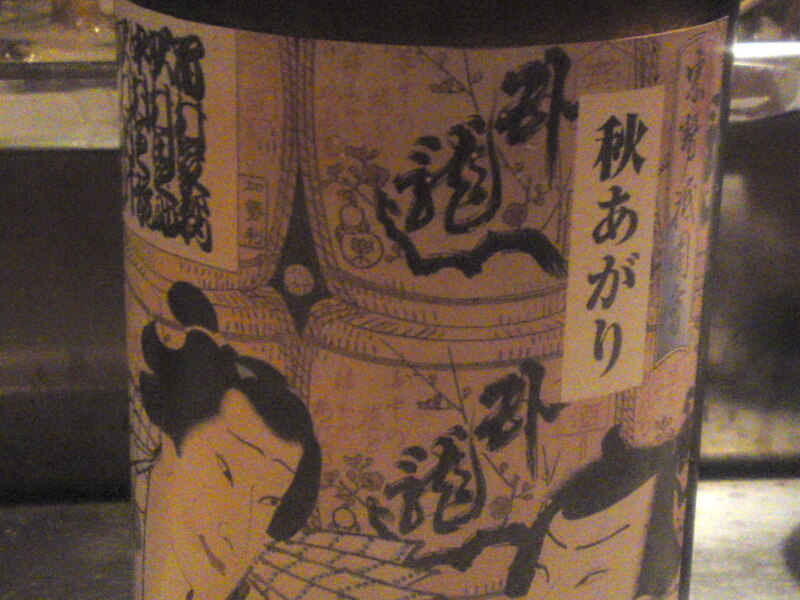 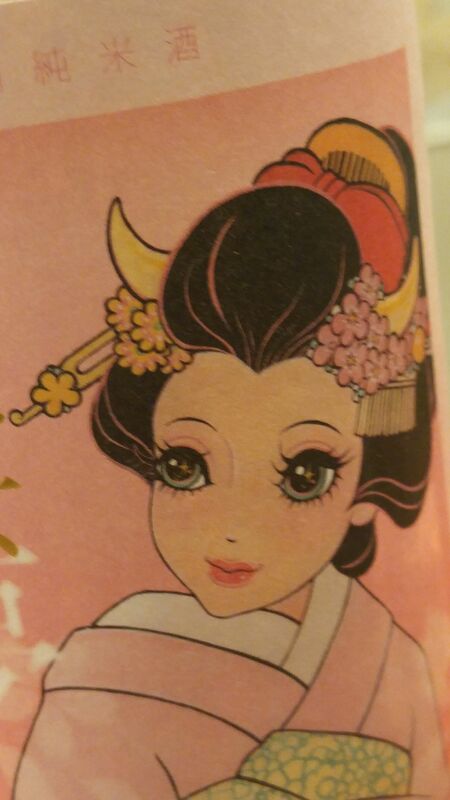 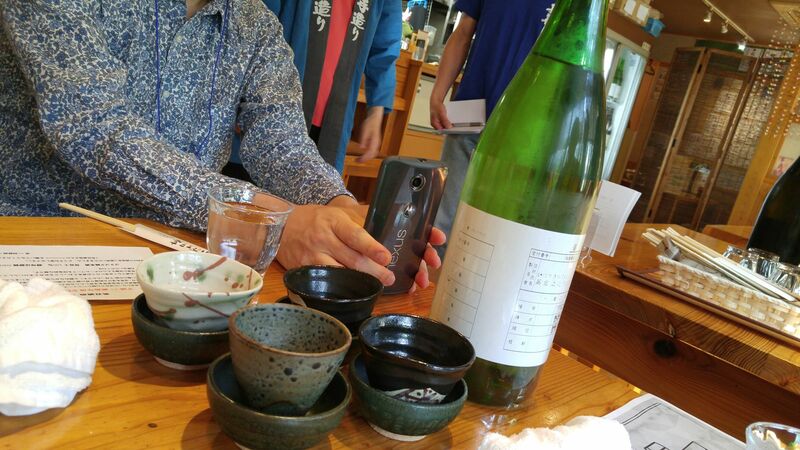 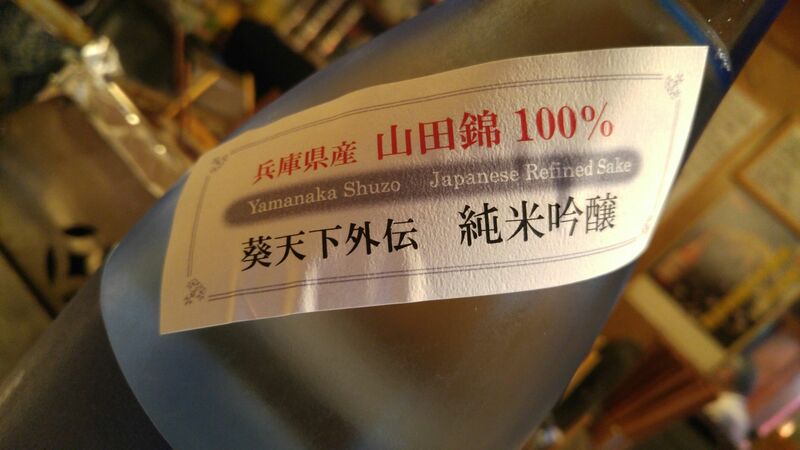 The kind of sake you won’t let inside the bottle very long and a great introduction to beginners! 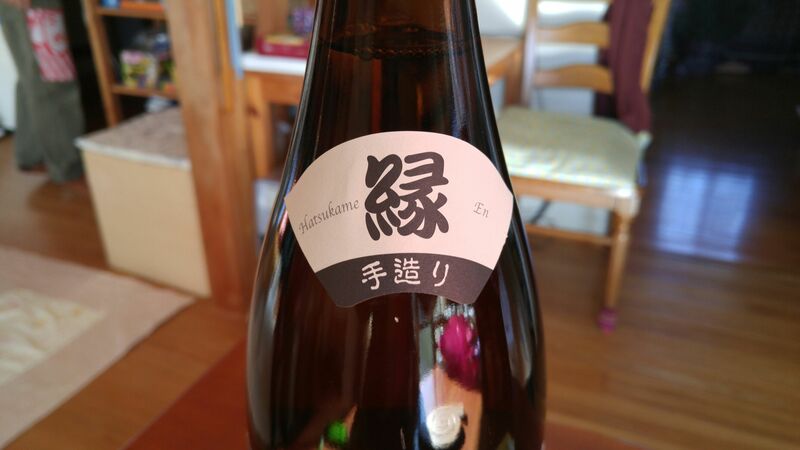 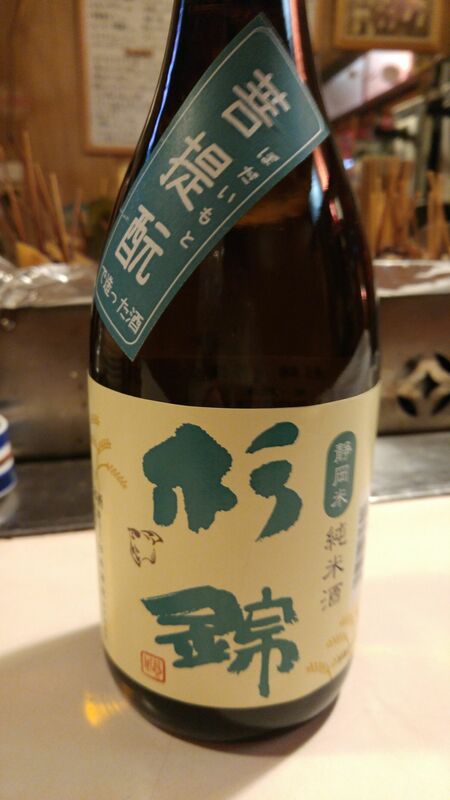 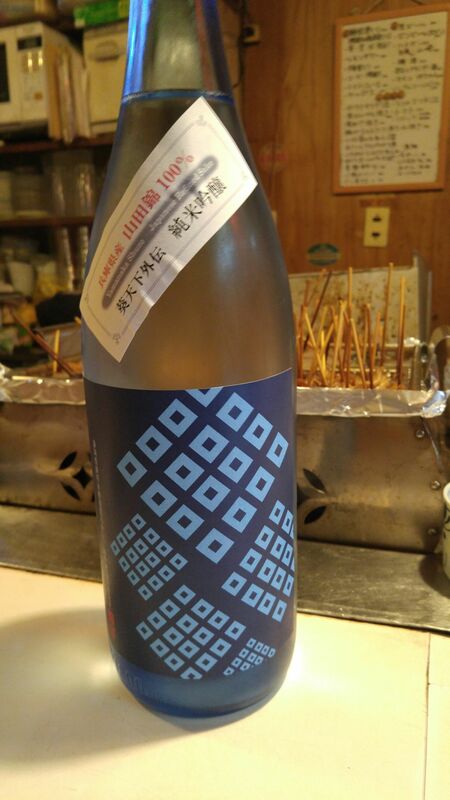 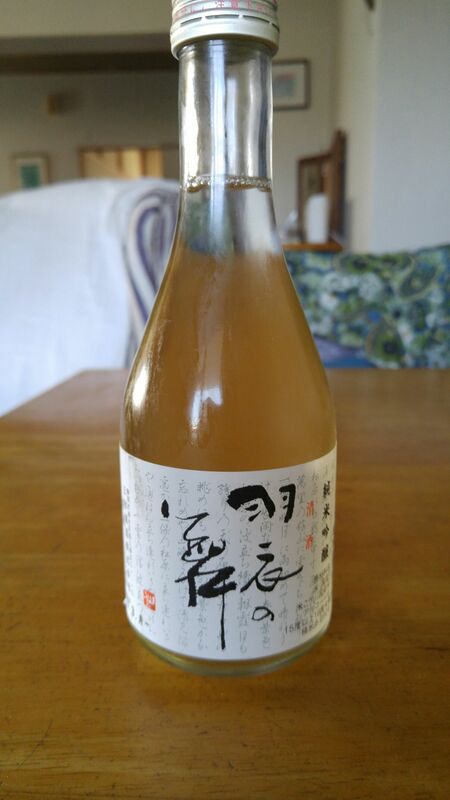 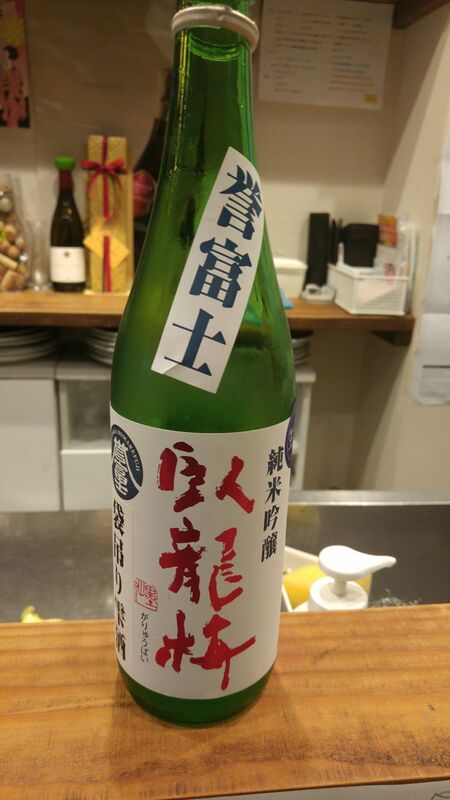 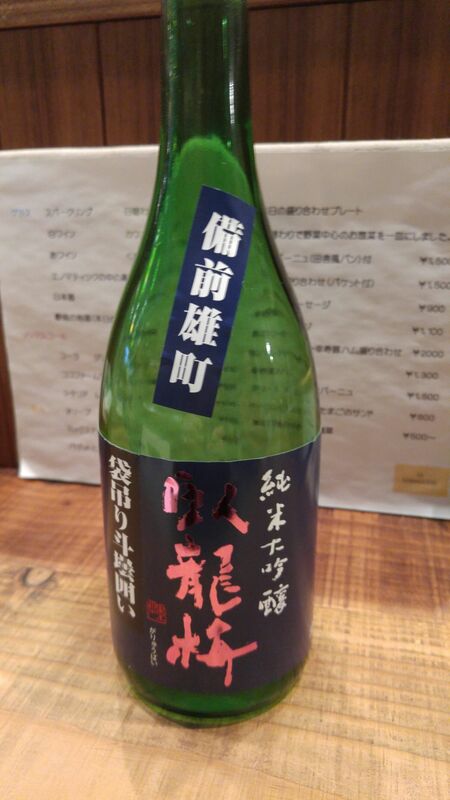 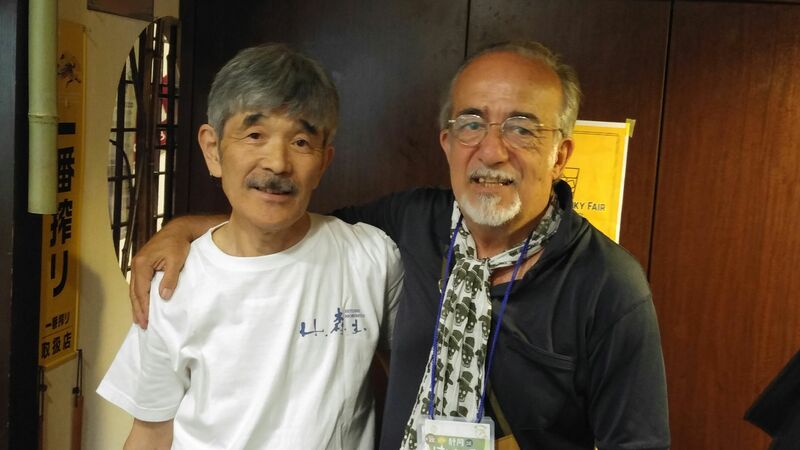 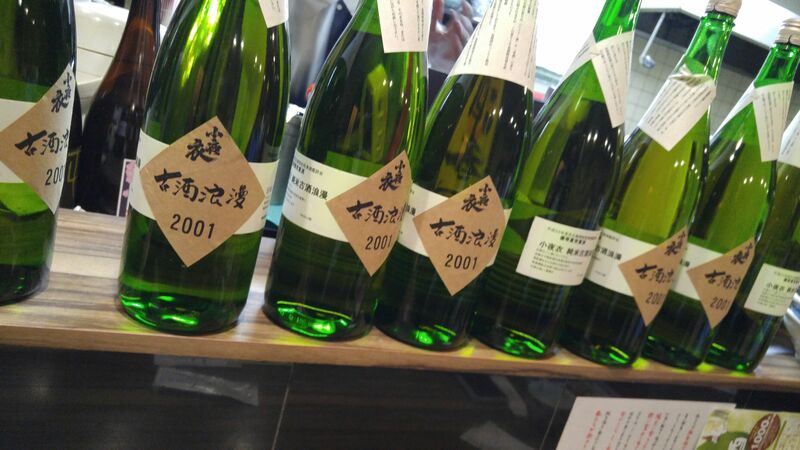 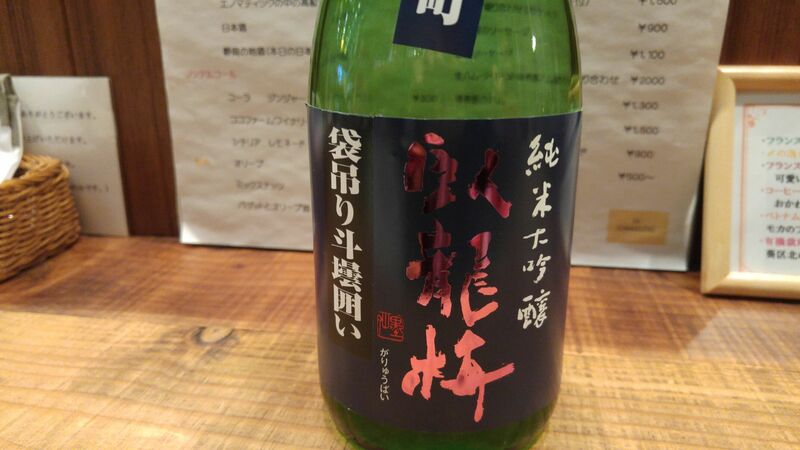 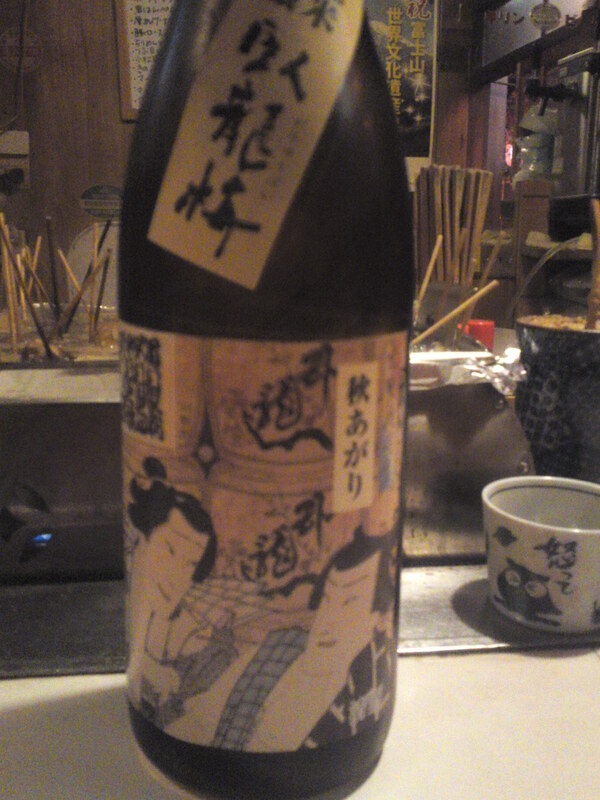 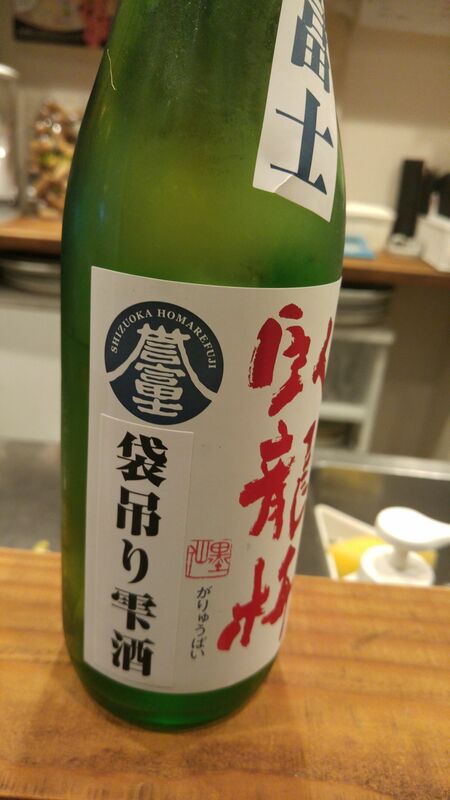 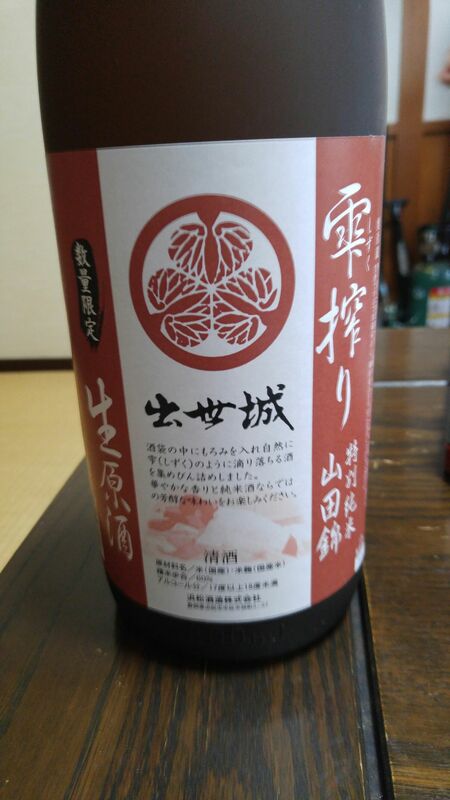 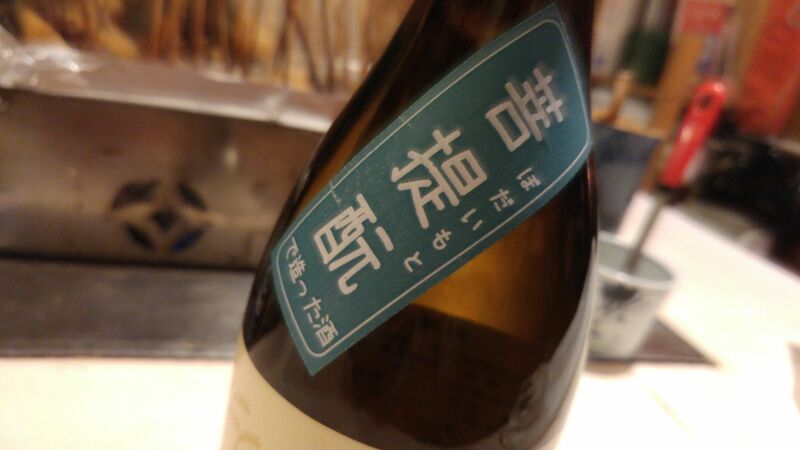 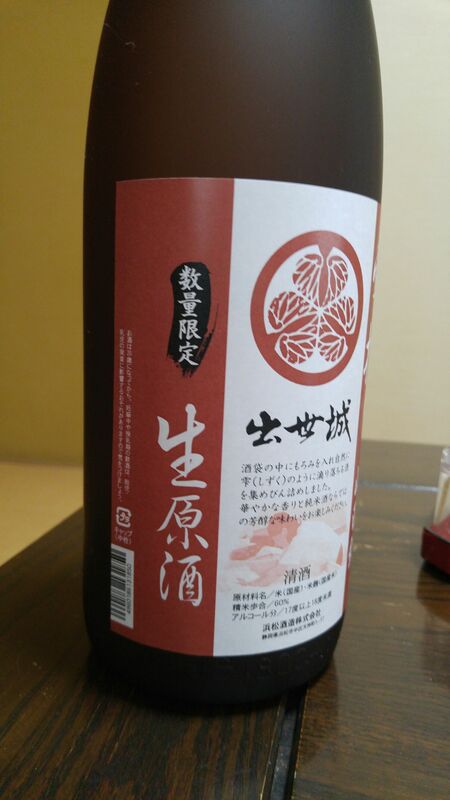 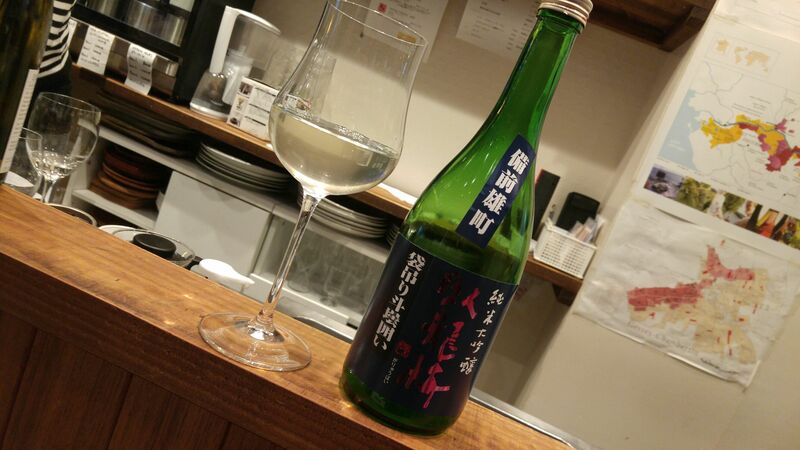 This time we tasted a classic by Oomuraya Brewery in Shimada City: Nagai Ki No Hashi Junmai Ginjo! 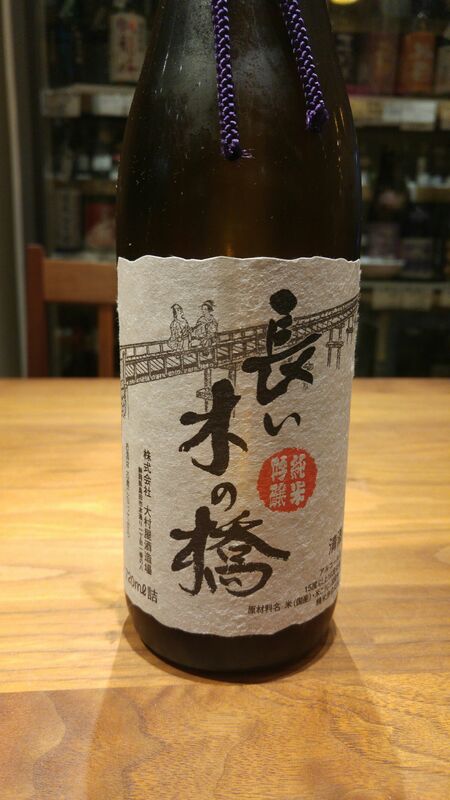 “Nagai Ki No Hashi” stands for Horai Bridge in Shimada City which holds the Guinness Book World Record of the longest pedestrian wooden bridge! 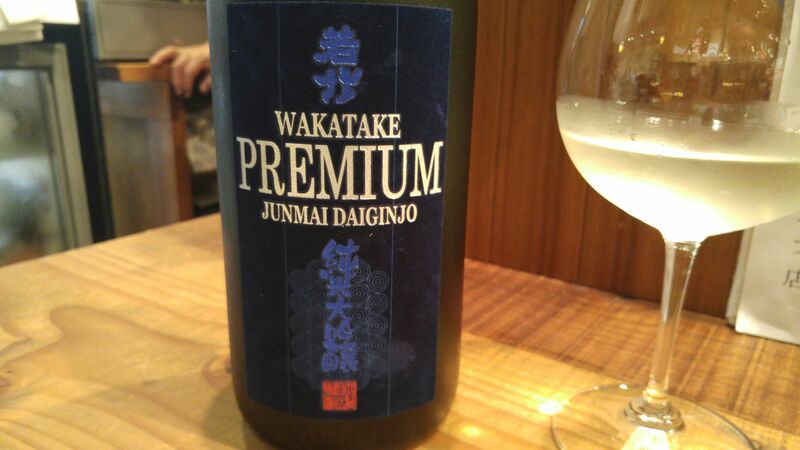 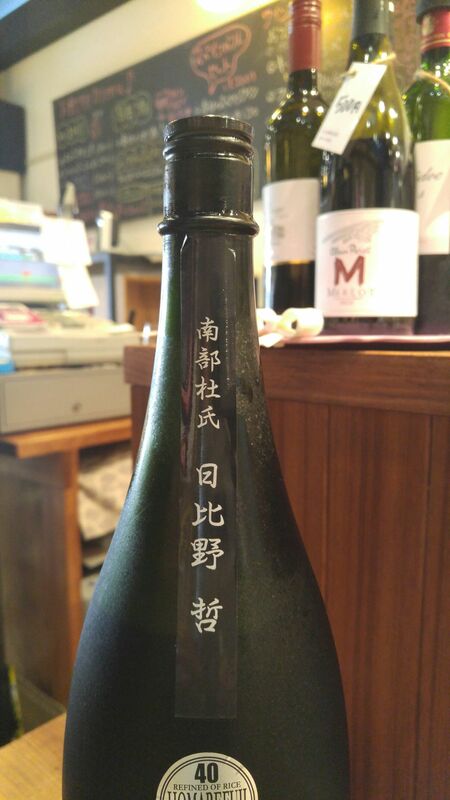 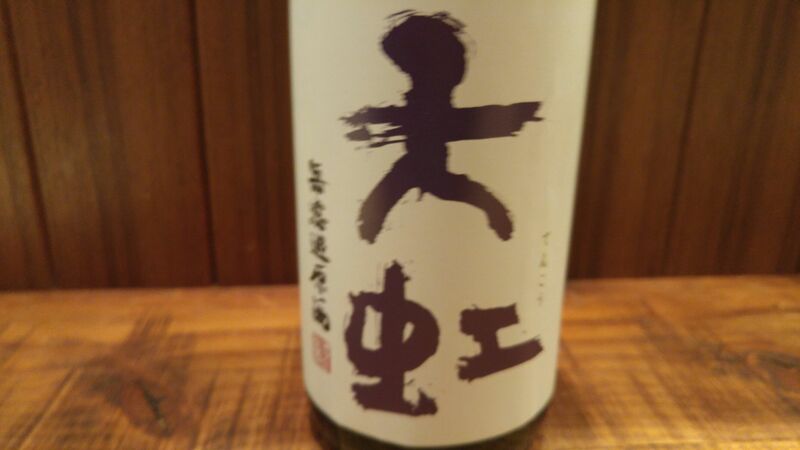 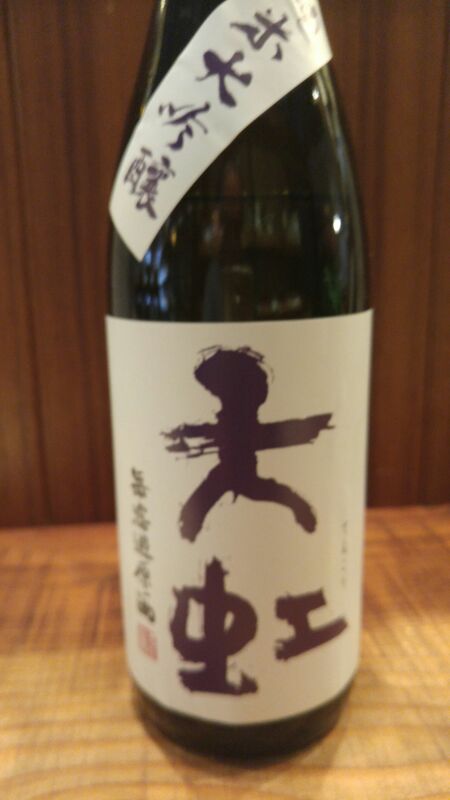 Taste: dry and fruity attack backed up with solid junmai petillant. 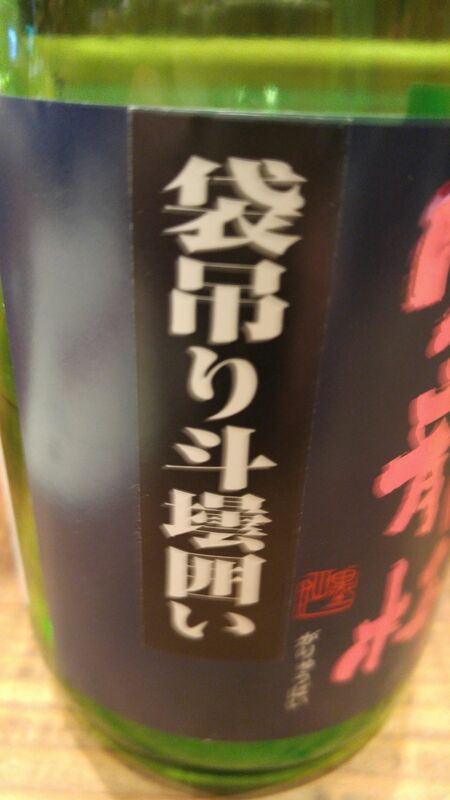 Complex. 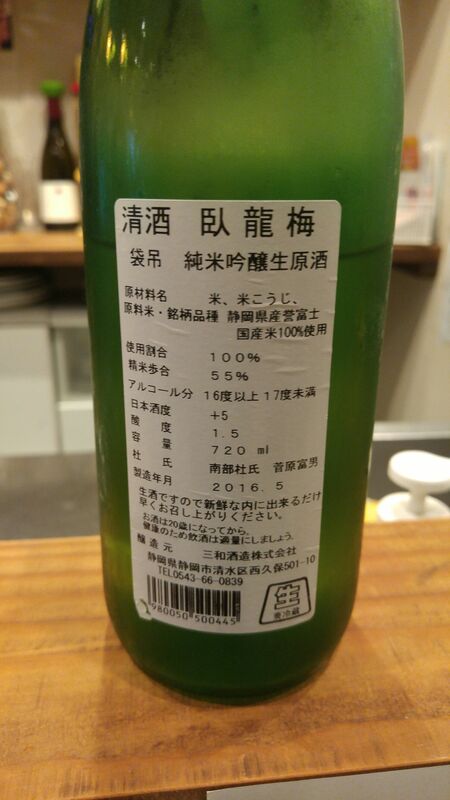 Green apples, dry custard. 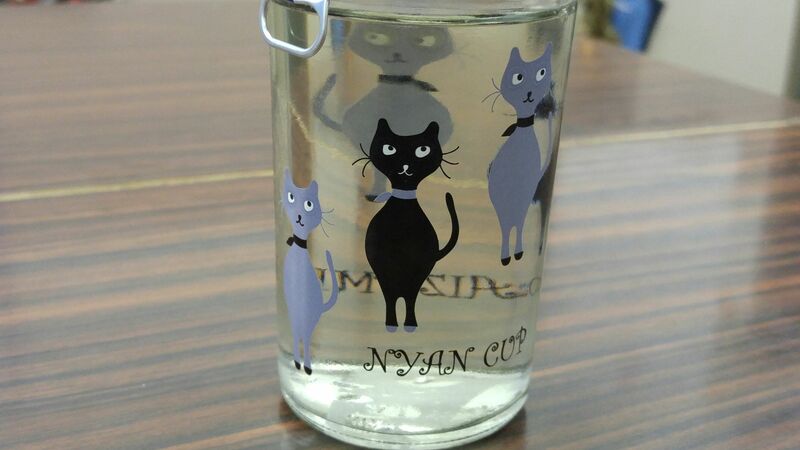 Stays dry all the way through. 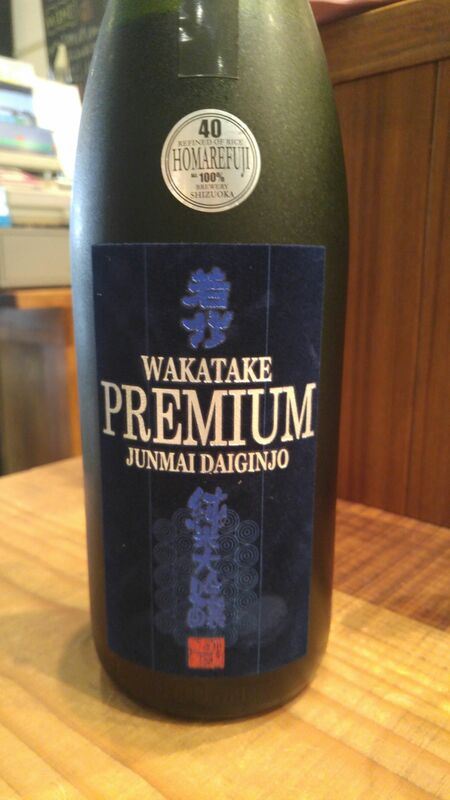 Lingers on palate only for a while before departing on strong notes of dry coffee beans, dry dark chocolate and dry almonds. 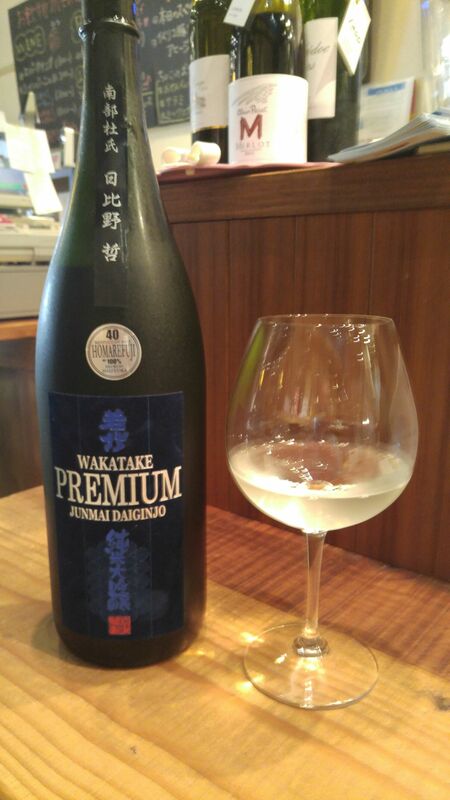 Overall: Both elegant and straightforward sake. 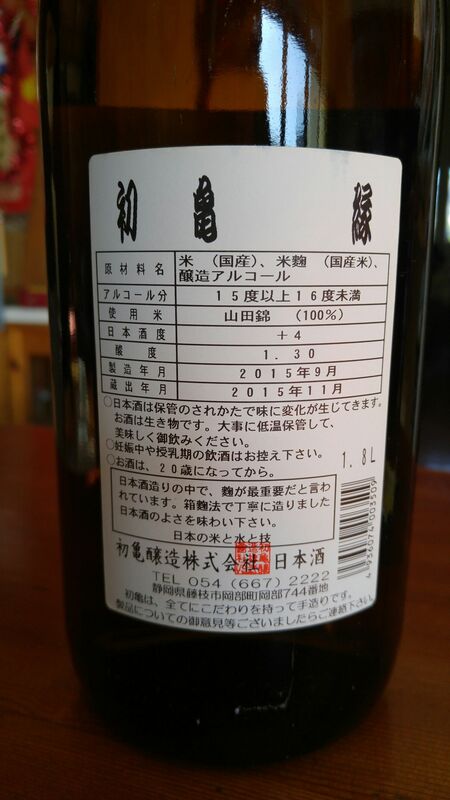 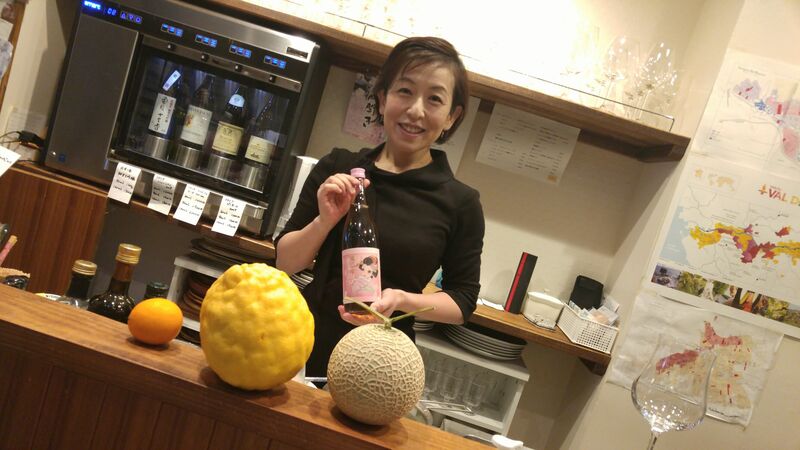 Can be enjoyed on its own at room temperature or as “nurukan” up to 45 degrees, or with a meal, especially as an aperitif as its dryness will disappear quickly enough and enhances the following glass of wine. 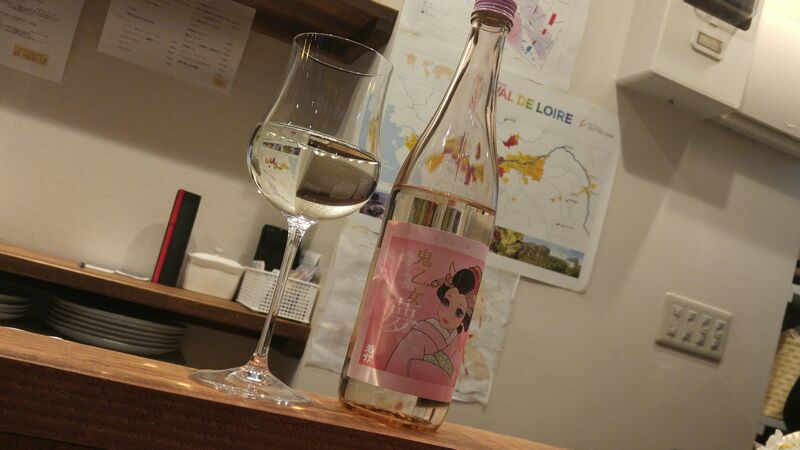 Actually drinks like a very dry Alsace wine! 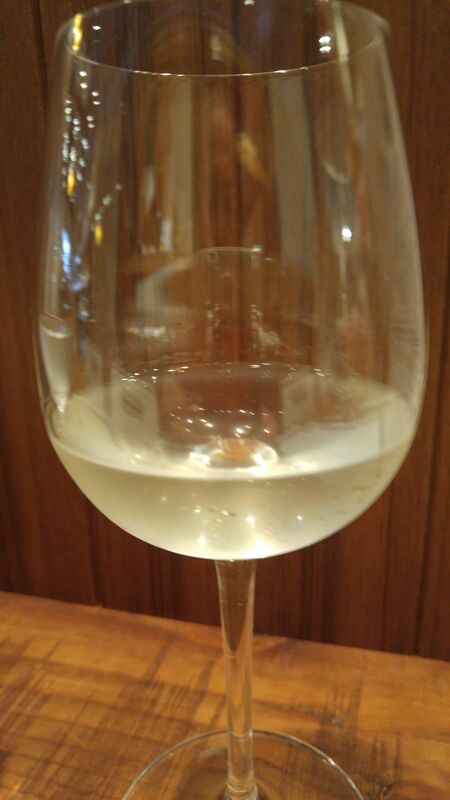 Suggested pairings: sauerkraut, cold meats, feta cheese.